Intact provides state-of- the-art mapping and spatial analysis services that add value to your data. We advise government, private sector, and non-government clients on the geographic information systems technology for environmental monitoring and management around the world. 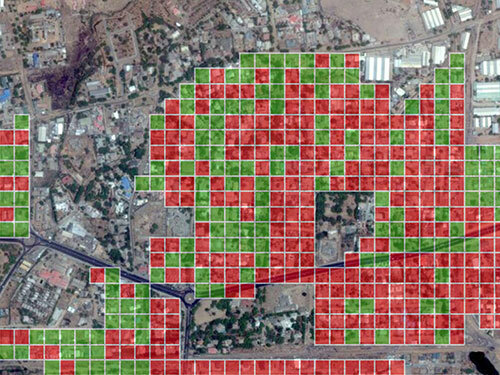 With expertise in remote sensing, GIS, and data management, our specialists develop data-sets and analyses that allow you to observe and understand key features of your project. From the Arctic to the tropics, we gather and analyze geospatial and satellite Earth observation data to extract levels of information to highlight patterns and relationships useful for your project, such as terrain, land cover, the built environment, water resources, and sensitive habitats.